Although almost all divorce cases and marriage dissolutions are painful to at least one party, it is child custody cases that require the utmost care and attention. Specializing in family law, divorce and child custody cases for more than 15 years, Adam Stein, Attorney & Counselor at Law is your partner during the painful process. Our child custody lawyers and child custody attorneys will provide excellent legal representation and advice and help resolve any disputes with the other party in a timely and professional fashion. Knowing just how difficult child custody cases can be, our child custody attorneys know that it’s not always only about the legal issues. Emotional support, advice, and guidance are equally important when something as important as the custody, alimony, and visiting rights of your offspring are in question. That’s why we provide extensive help and emotional assistance to help ensure that the process moves along as smoothly as possible for all involved parties, including the child. Through this professional and all-encompassing approach Adam Stein, Attorney & Counselor at Law has become one of the highest rated child custody attorney service providers. Similar to other family law cases, your legal representative has to be able to base your goals in legal aspects pertaining to local family law. Our child custody attorneys consult and guide you throughout the process. This includes investigating the situation, setting realistic goals and finding legal grounds for the claims of the client. From there, the case may go through a settlement with the other party or be disputed in a court of law. In all situations, an Adam Stein, Attorney & Counselor at Law will represent you and work towards achieving your goal in the case. Where Are Child Custody Attorney Services Available? While modern communication and travel methods allow for a child custody lawyer to assist almost anywhere in the country, it’s important to remember that proficiency in the local laws is paramount in all family law cases. With our child custody attorneys, you can be sure your specific case will be addressed with the full support of the local laws and legal regulations. 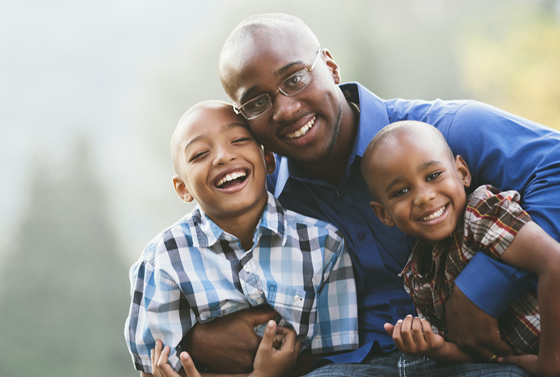 We’re happy to provide full child custody legal services across Northwestern Georgia. What’s the First Step in a Child Custody Case? In all cases, Adam Stein, Attorney & Counselor at Law is there to help you, both in terms of legal guidance and emotional support. We’ll be happy to answer all your questions and help you get started!